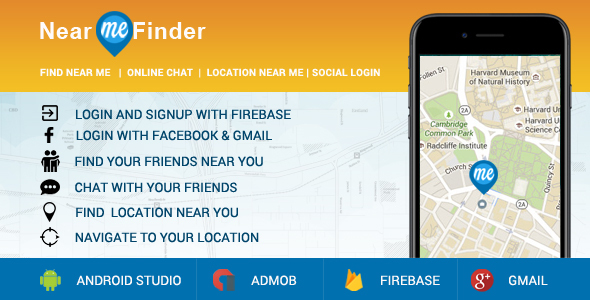 NearMe App allows you to find the location near you, friends near you and it also allows you chat with your friends. It’s very easy to integrate and make live. it has Admob integration facility and many attractive features.